Witness the destruction of Tokyo by unspeakable monsters... again. 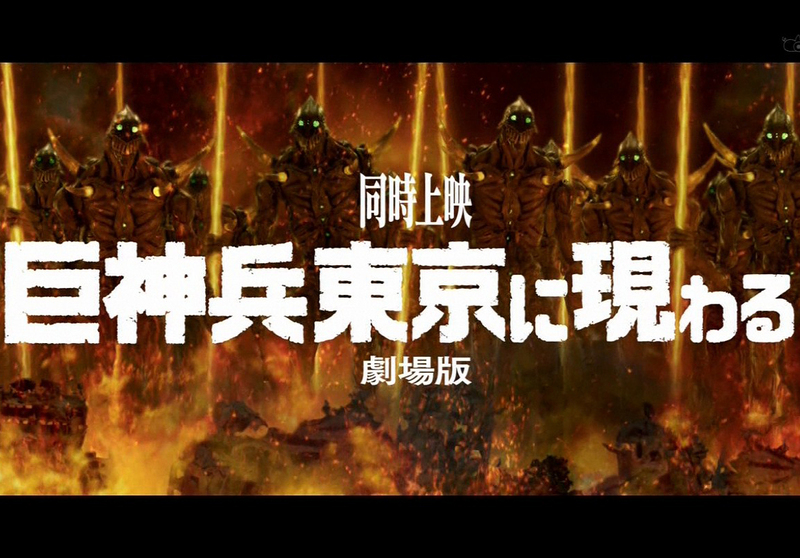 But this is neither any mere Kaijus nor your run-of-the-mill final battle for mankind... It's the live-action short film depicting the "Seven Days of Fire," the apocalyptic war mentioned in Nausicaä of the Valley of the Wind, the 1984 classic anime film written and directed by none other than Hayao Miyazaki. We have seen our fair share of Guillermo Del Toro‘s Pacific Rim with the trailer and new posters as well as images of the auteur film-maker's ultimate homage to the Kaiju/Mecha aspects of popular culture. 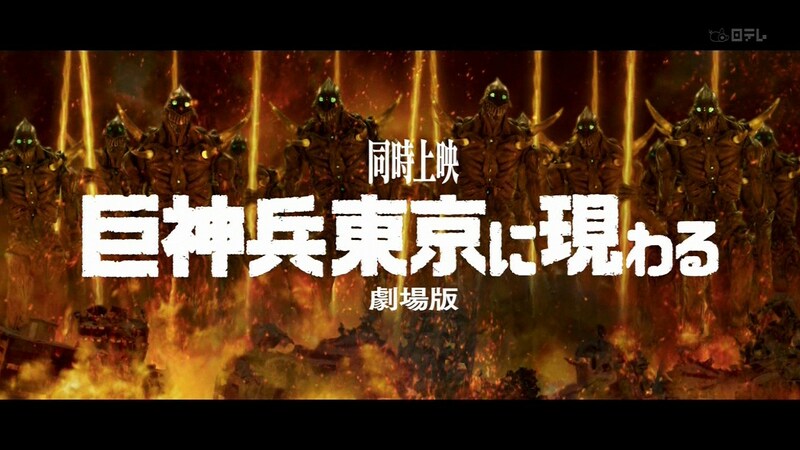 Being fans of the Japanese tokusatsu films, we are reasonably thrilled by the upcoming film. 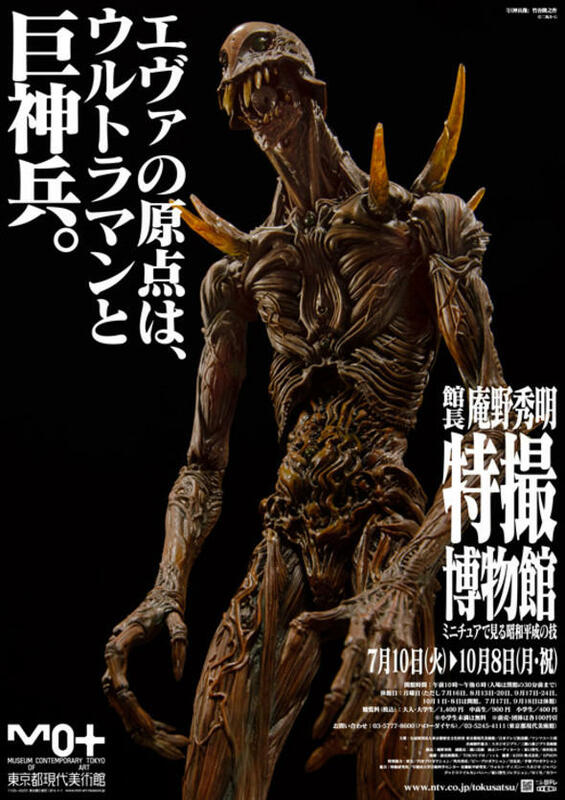 Today, our appetites are satisfied by a pleasant surprise: Giant God Warrior Appears In Tokyo (Kyōshinhei Tokyo ni Arawaru). An eight-minute live-action short film produced by legendary animation master Hayao Miyazaki's world-renowned anime studio, Studio Ghibli, and directed by Higuchi Shinji, one of the key artists for Hideaki Anno's iconic anime series Neon Genesis Evangelion, Giant God Warrior Appears In Tokyo was commissioned by Hideaki Anno himself for the Tokusatsu Special Effects Museum in Tokyo. 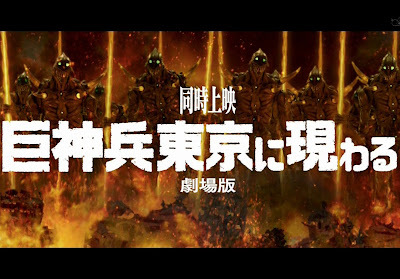 Depicting the "Seven Days of Fire," an apocalyptic war mentioned in Miyazaki's landmark 1984 anime film, Nausicaä of the Valley of the Wind, the eponymous antagonist, the Giant God Warrior, was actually designed by Miyazaki himself. Hit the jump to check out the clip for the unrelentingly brutal destruction of Tokyo. Images from the animated shorts.